What’s the STM Funnel or Progression? I’m not so sure that our experience of “the funnel” would mirror the typical career path or not – I have my doubts. We have definitely experienced the funnel, but it’s not been as linear an experience as it may be for some, given that we landed in France, as a family of five, when my wife and I were both in our 40’s. My path began with 1-week trips in the early 1980’s and took me through 2-month and 2-year trips which, nearly twenty years later, has me serving in France with my family. So in a way, the funnel is my story; but I think it’s also the desired state for missions organizations in terms of growing up the next generation of Christian mission workers. Here is my impression of what the funnel looks like, both in general terms from my personal experience, from reading and from my understanding of opportunities in our particular movement – the United Pentecostal Church International. These are the first trips that a young person will get involved in. They can be initiated by their local church, a group of churches or by a mission-sending organization. Cost: The short nature of these trips are such that they are often the least expensive. If the trip is overseas you can expect to pay in the $1,000 – $2,000 range, but the choice of destination will greatly impact that. Experience & Involvement: There is generally no experience needed nor a requirement for a particular skill set, unless you are going to take part in a building project or some kind of medical mission. Often, the most important skill is flexibility and being willing to trust the Lord to use you in ways that you may or may not be used to. You can expect to be involved in some church services, perhaps run a few kids’ or youth events, perhaps do some evangelism (ideally teamed up with locals) and, in the case of skill-centered trips, be involved in specific tasks on a daily basis. The AYC (Apostolic Youth Corps) program is the flagship youth missions program promoted across the fellowship. In 2017, they will have taken young people to 11 overseas destinations and 5 North American locations. YOM (Youth on Mission) trips are similar in nature to the AYC trips but are organized on a district by district basis. The Florida District, for example, runs annual trips under the leadership of Rev. Mark Hattabaugh. Once you’ve tried your hand at one or maybe even a couple of 1-2 week trips and assuming that the experiences have been positive, you may begin looking for something a bit longer. The 4-8 week trips are a logical next step (I made 4 such trips between 1989 and 1998). Costs will naturally increase but it becomes impossible even to give a ballpark figure as it depends so heavily on your destination. Two months in the developing world, for example, will cost a great deal less than two months in Europe. You can also expect your areas of involvement to become more broad, more involved and requiring a more dedication and discipline as you will have to work beyond the first few weeks when adrenaline and novelty can easily carry you. Any skills that you have will be put to greater use and therefore will have a greater opportunity to be honed and improved. That is part of God’s purpose in having you there: You focus on giving, serving and sharing and let the Lord give and share more with you. This will also be a time for you to hone skills that you perhaps only uncovered while on the mission field. You discover that you are capable of new things when you move out of your comfort zone and sustain that for a number of weeks. The Lord can begin to birth something new in you: perhaps for the purpose of serving the mission field further down the road or perhaps not. Be on the look out for these new things. Because of the increased cost involved, the required preparation time is much longer – from navigating the application process to raising funds (which, depending on the destination can be between $3,000 – $8,000). The Next Steps Program program is something of a bridge program (my term) between an AYC trips and something longer. It combines 3 weeks of intensive training followed by 5 weeks of apprenticeship. In 2017 they will be in the British Isles, but will be headed to Asia in 2018. A great time to being planning for 2018 is … NOW! If you’re considering a 2-6 month trip, it’s because you are beginning to feel an ever strengthening call to missions involvement, which may or may not involve a call to lifelong overseas missions. It could be a question of testing the waters to get something out of your system or it could be yet another step in trying to discern the Lord’s will for your life in the long term. As you begin to look at longer stays abroad, the dollar amount will increase as will the expectations of those around you: from your local sending church/es to the missions organization, to the missionary with whom you’ll be working. You’ll need to have some kind of specialization – be it office work, teaching, music, etc. You need to be able to work more autonomously because your daily schedule will not be laid out to the extent it was on the 2-6 week trip and definitely not as much as it was on the entry-level trip. Expect to be given certain tasks for which you will be responsible. Be able to fill your own down time where that exists and be able to maintain your own walk with God since group devotions will not be a daily thing like they were on the shorter trips. By this point… missions is beginning to significantly define who you are… it’s getting in your blood. Again… you may or may not be called to be a career missionary, but if that is God’s call for you, then through this and previous trips, you will begin to see trends develop – be it trends for working with a certain linguistic or cultural group or be it trends in your own ministry style. The AIM Program (Associates in Missions) program generally the program that you’d be looking at for missions service in the 2-8 month range. Once again, as the length of time increases, so does the necessary preparation time (application turnaround and fundraising requirement). Not allowing yourself sufficient time can lead to significant frustration. Give yourself lots of time and be patient. If it’s the Lord’s will, it will come to pass. *Disclaimer: This is where our personal experience stops. We are currently serving on AIM, in the context of our movement, and are currently past the 2-year mark, on the field in France. We have applied to upgrade our status to Associate Missionaries and are awaiting the outcome of that application. Generally speaking however, if you are past the 1-2yr mark, long-term missions involvement is definitely part of your thinking. You may not yet have “taken the plunge” but it’s definitely in your thought spectrum as well as your prayer spectrum. In the long run, the decision will be up to you to make (along with your spouse if you are married), but all of these conversations will help inform your decision and they are valuable! 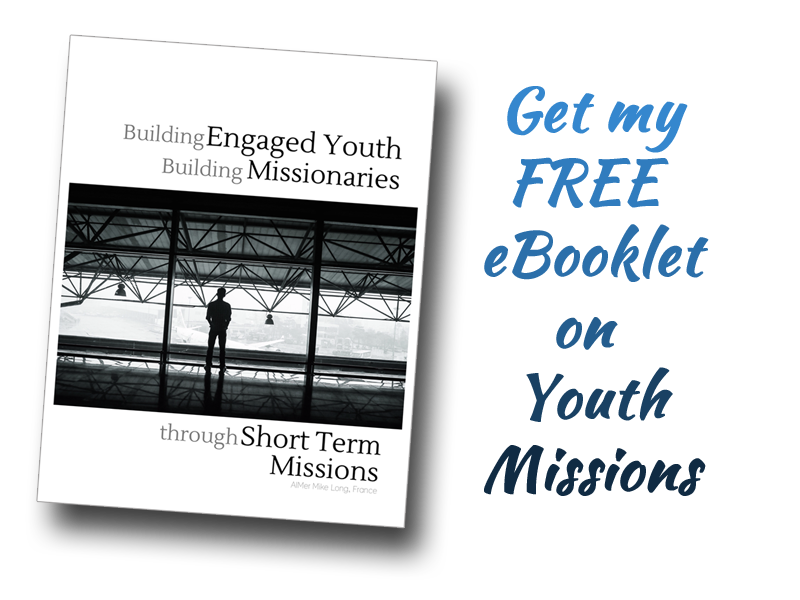 Although a person can remain an AIMer for several years, those who are considering long-term involvement in missions should also consider “moving through the funnel” and making application for Associate Missionary status. *note that both AIMers and Assoc. Missionaries are considered independant contractors and not employees of the UPCI, with implications in terms of health benefits, retirement planning, etc. Only Intermediate and Career Missionaries are considered employees of the UPCI. For complete information on these distinctions, contact UPCI AIM and/or Global Missions. I realize that there is a lot in here, but let me sum-up by saying that, in any career there should be some sort of progression… where you move from lesser to great degrees of responsibility according to your commitment level. Missions is no different. The more seriously you are considering long-term involvement in missions, the more you need to be aware of the funnel so that you can manage your way through it. Great satisfaction comes from any kind of growth and missions is no different. What’s the next step you need to take to work out God’s call of missions involvement in your life? You’re confident that you know where God is calling you to participate and you’ve worked your way through the application process. You have also begun fundraising… a necessary step in preparation to go, but there’s another necessary step. If you want to make the most out of your time on the field, you need to prepare through prayer. I’ll talk about that next time. See you Monday May 22nd.